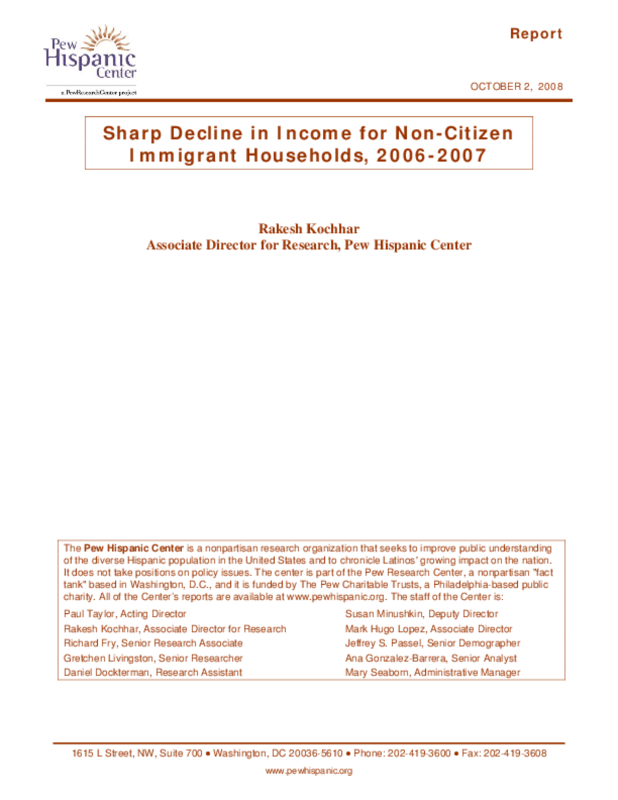 Uses Census Bureau data to examine trends in the median income of non-citizen immigrant households. Looks at which households are most acutely affected, in terms of race/ethnicity, region of origin, education, profession, and other demographics, and why. Copyright 2008 Pew Hispanic Center.